Here it is. 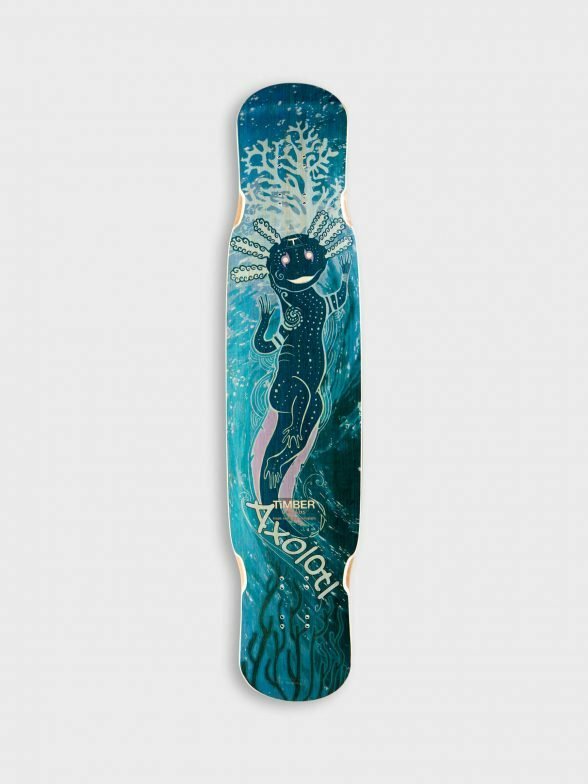 The one and only Axolotl prodeck. Designed in close collaboration with Mor Wolf. The purest freestyle form embodied. Did you know the Axolotl was a part of the Aztec diet? 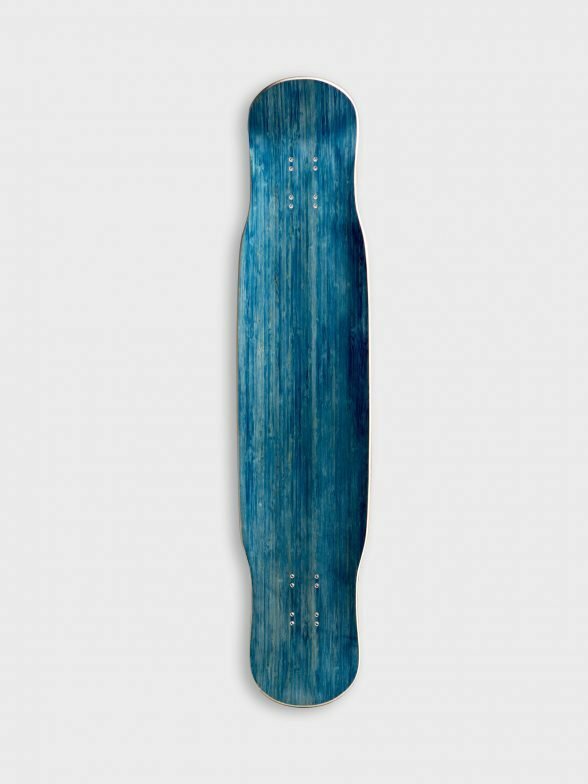 The evolution of the longboard industry is embedded into this featherlight board. A future where skaters test the limits of their boards and demand the best in durabilty and the most versatile shapes. A combination of all the best features of all of Timbers’ boards. A monster of subtlety. A visionary of future endeavors. Stare into the eyes of the axolotl and come to grasp with your fate. 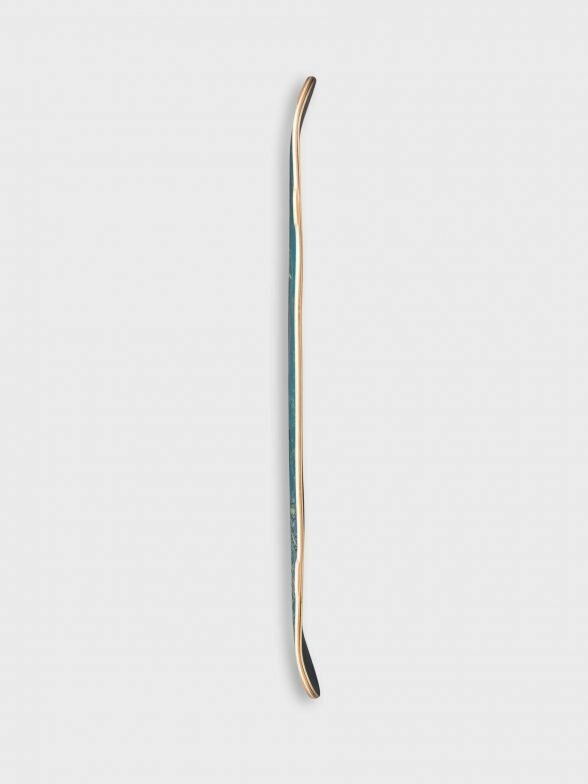 Every board in the Timber line-up has their unique features. Combine the best of all freestyle boards and you get the axolotl. 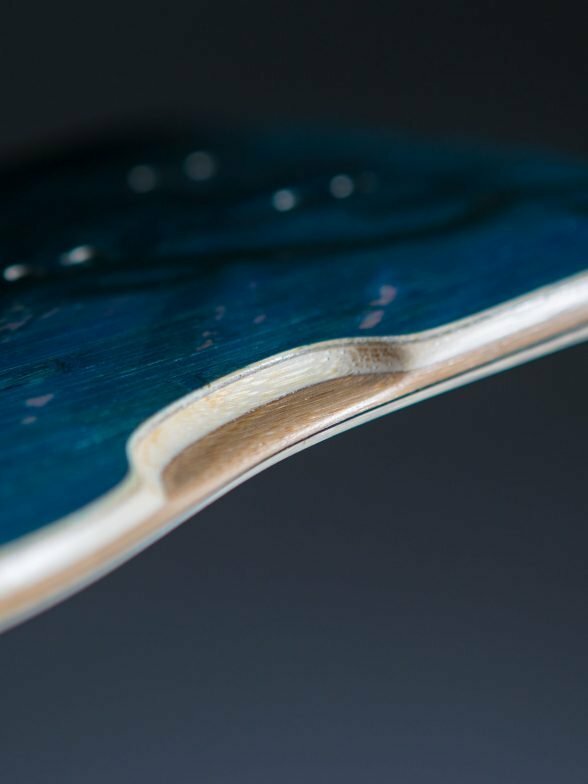 Multi-stage concave gives this board a very characteristic feel. The middle has a bit less concave compared to the stance. What is noteworthy is that the shape of the board gives this board an almost even feeling concave all around. Let me explain: The board is widest at the waist with 23,3 centimeters. So even though it has mellower concave there, it’s still 1.2 centimeters. The stance is less wide with 22.3 centimeters. Even though the concave here is more, it will still go 1.2 centimeters up. A balanced and even feel when dancing on the board. 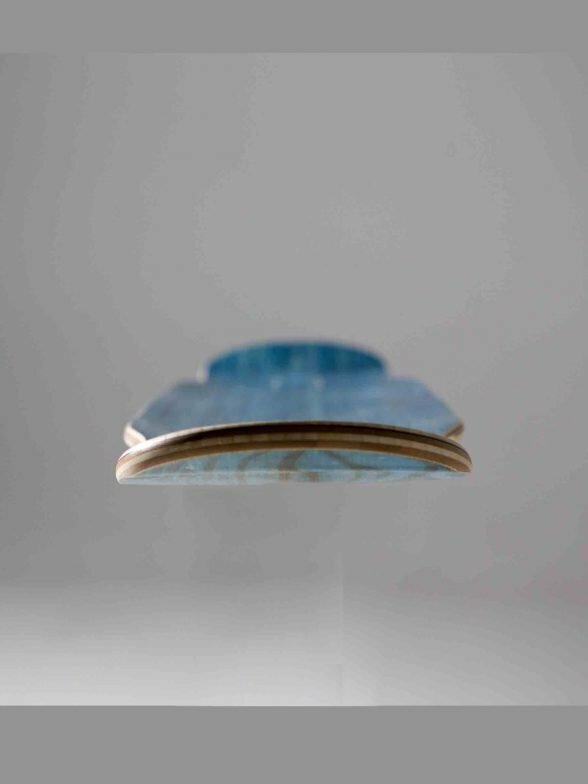 A concave with more curvature at the stance, to grip the board better while sliding. Protruding towards the curvature of the tail. This gives more control for one-foot tricks and will let you know where you stand at all times. No flatness here. A rigid feel, with just enough spring to make it feel natural when doing your tricks. With the two wheelbase options, you get to have a few options. When trucks are closest to the middle you will have 15,2-centimeter kicks. That’s pretty big for a relatively short board. The other option is 13,7 centimeters. You can choose to make it more asymmetrical. Changing around the wheelbase will make you notice that the pop changes somewhat. With the shortest wheelbase, the pop will be steady, high and more horizontally. With the larger wheelbase option, your kick gets smaller. Now the board will pop more vertical so you can get some more air on your tricks. Now, the shape: After the bolts it’s a short flat spot when after a few centimeters it aggressively curves upward to form a flat surface where you will place your feet for tricks. This makes one foot manuals a breeze, since you can place your entire foot lengthwise on the bolts without much curvature. The curving upwards follows directly out of the concave near the bolts, making it a little bit of a cup before transitioning into the flat surface. These kicks will feel solid due to the carbon reinforcement from start to end and it will feel like you’ve skated this board before. It has carbon on top and stringers on the bottom. Stiff, light and dare I say pretty. Also, it has the highest quality E-glass (just like all our boards). Meaning: less dense, strong and durable. It is LIGHT. it weighs around 1.6 kg, which is pretty crazy. Only cruisers will become lighter. Adding up all this glass, carbon, the outline and the concave you get a perfectly balanced, lightweight and super strong board. Even the way this board looks (the outline) is thought out carefully to minimize chipping and keeps you skating on a good looking board longer. But who cares about the looks anyways? Hollywood. That’s who. A total of 4 options. Most people choose to start with the widest wheelbase and after it gets some damage on the kicks, they move up to the shortest wheelbase. This has the upsides of making your board skate well for a longer period and steadily increasing your pop by wearing down the tails and switching wheelbases. As stated before, the longest wheelbase will of course give you the shortest length of kicks. Therefore it pops higher compared to the wheelbase with the longest kicks. Even so, this board will pop great regardless of your choice of wheelbase. But it’s nice to know you can tweak it to suit your personal preference. A true freestyle board. A new branch in longboard evolution. Tricks will fly high and fast. Predictable and steady. The board provides a steady and characteristic enough concave to make you feel confident about landing those big tricks. Pushing yourself and the gear to its maximum. Dancing on this board will be fast. Although it is kinda short, all of its features come together to harmonize into a flowing stream like the water from which it came. A pen and ink drawing made by Mor Wolf, incorporated into the characteristic style of Lance Schmale. Tweaked by the technician Jouke Bos at Timber Boards to provide a sweet color combination. That time you took shrooms and fell into the water and got visited by a God dressed as an axolotl. 180 trucks and 60-65 millimeter wheels. This combination will be the absolute bomb. You can choose higher, but even though it has wheelwells, you might want to consider a riser if you go 70 millimeters or higher to ensure absolutely no wheelbite. Depending on your brand of trucks and how loose you have your bushings. Also: Yellow wheels are a nice contrast with the blue. Just saying. The axolotl is a great All-round longboard, its light and easy to control, yet poppy and strong! Like I said, an allround Longboard, it has some great tails for freestyle, good pockets voor some freeriding, and enough space for dancing (and a second wheelbase option for even more dancing possibilitys!). Great for the streets, the hills and the park. A great allround board! Perfect for everything! Really love this deck! Pure freestyle with a slice of dancing to make the most elegant and best board ever. A must-have for every freestyler. Simply in love. This board is amazing, perfect for freestyle and dancing!